Silver Penny? Is this a mistake? I found a penny made with dime material, which is not silver but looks like silver. I'm not sure if it has any value other then 1 cent. Searched in ebay for rare US 1 cent and silver penny, but no luck in finding a good document on what it is. 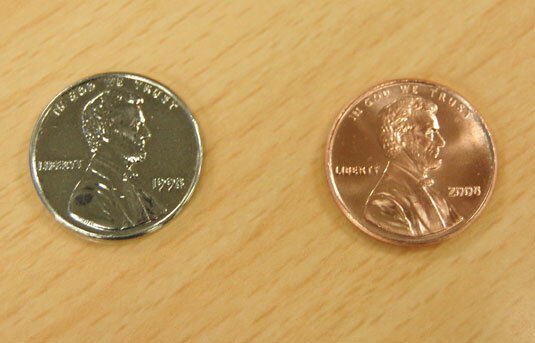 What seems to be a nickel or dime plated US penny and a regular US penny on the right.